Jumping on the Pokemon Bandwagon- With STICKEMON! We’re sure you’ve witnessed the latest digital craze, or at the very least heard about the new Pokémon Go app that’s taking the world by storm. 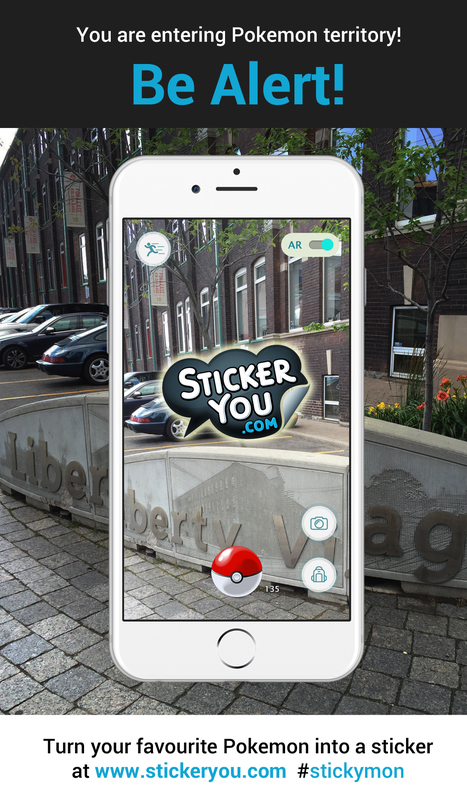 Not ones to miss out on the latest tech-trend, StickerYou has jumped on the Pokémon bandwagon as well, and we’ve brought along our own creative addition. #Stickemon decals. 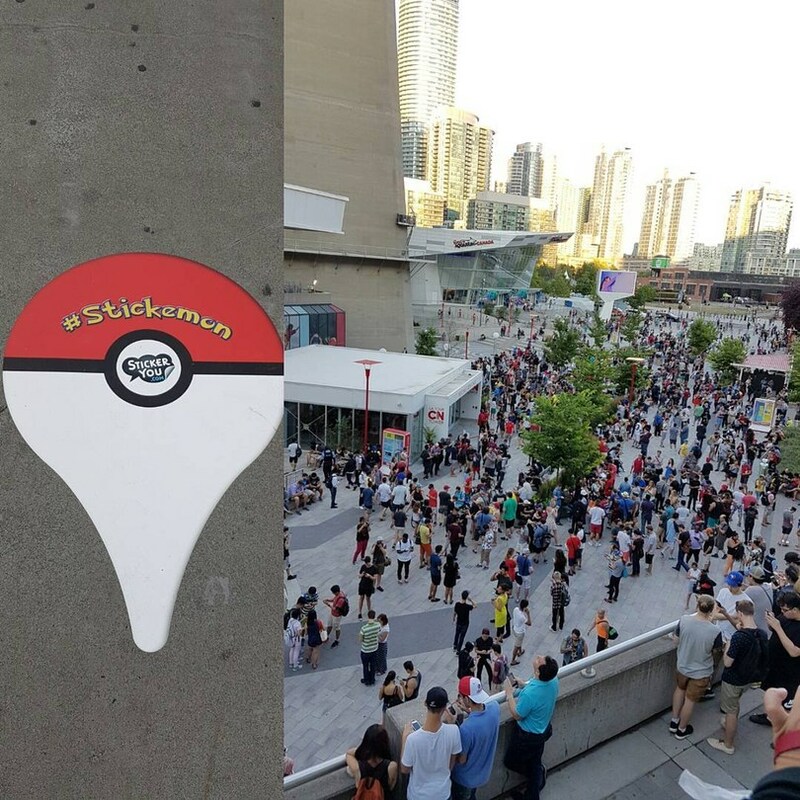 The StickerYou crew scouted out Pokemon meeting events and placed some custom decals on the streets and walls around our city. 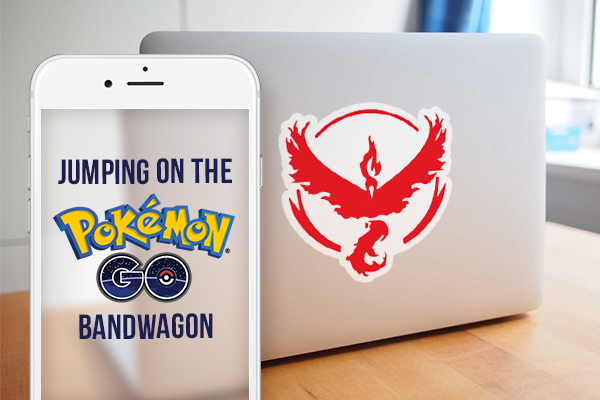 Next time you’re out on the hunt, watch for the Stickemon decals placed near pokestops and gyms. 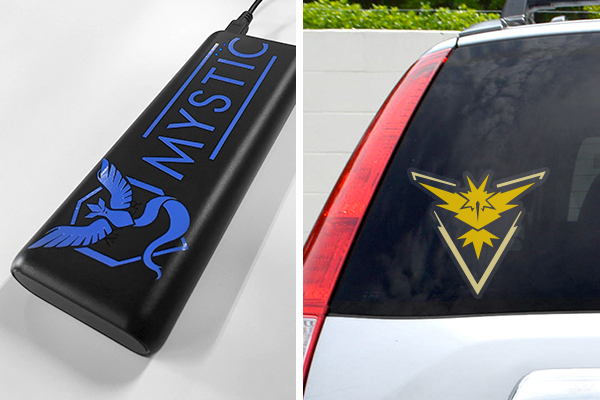 Create your own Pokémon products to mark your team or show off a recent catch. Simply log on to StickerYou.com and upload your Pokémon artwork to our sticker editing platform. Choose from any size or get a die-cut of your shape. Add text and frames, or change the background colors to suit your application. We recommend choosing white vinyl material for printing. This material is waterproof, heat resistant and fade resistant. The durable adhesive will ensure they stay stuck in place on a variety of surfaces, but remain removable. We ship worldwide, so no matter where you are catching Pokémon, we can send your order right to you. Decorate your laptop, tablet or phone with your team logo. Create team temporary tattoos for your next Pokémon themed gathering. Create Pokémon themed packaging or swag items for events, parties, or to promote your own small business. Create custom stickers of your top catches. Create signage for your business welcoming players in search of Pokémon. Advertise Pokémon-themed specials at your business, or drive more business by providing a discount to customers who drop lures in or near your location.